If you're interested in making new and lasting friendships, deepening your commitment to Jesus Christ, looking for opportunities to love others and make an impact through service and prayer, then stand shoulder-to-shoulder with like-minded women. To build healthy, caring relationships among women in the local church. To encourage study of God's Word; teach women to follow Christ and to be built up in their faith. To equip women to share God's love and the message of the gospel with family, friends, and neighbors. 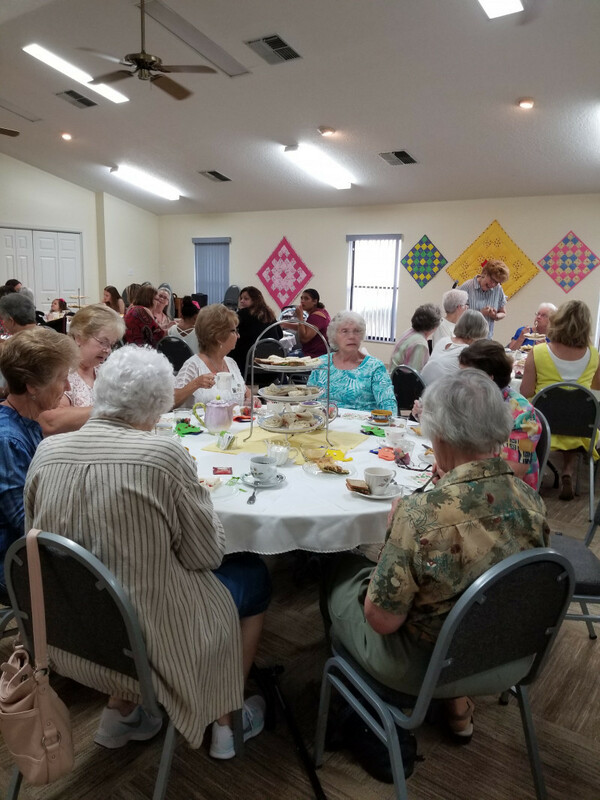 To involve women in the worldwide ministries of the Alliance through intercession, short term missions, support of overseas workers and their families, and an annual project that serves specified needs in various countries. To promote corporate and individual prayer for the ministries of the local church, Alliance overseas workers,church planting in the United States, and prayer for individuals. Alliance Women meet on the second Saturday of every month at 9:30 am in Ackerman Hall. Contact: Church Office (352) 686-6020 if you have any questions, or speak to the Alliance Women's President, Marie Buerkert. Our sewing group makes layettes (Mama packs) for newborn babies in Africa. Bandages are cut, sewn and rolled for use at the Hospital in West Africa. We also collect and clean used pills bottles for reuse there. Sundresses for the girls and shorts for the boys are also made and shipped over. Designing, pinning, cutting, and stitching original quilts for at-risk infants.Over 300 quilts have already been delivered for distribution for babies and families at Spring Hill Regional Hospital's Neo-Natal Intensive Care Unit. Non-stitchers and accomplished seamstresses alike are all encouraged to join in this ministry. We want to cover these babies with love. We collect the tabs off of aluminum cans. The proceeds go to International Missions.